Get all the latest info from our Instructors and Staff on our SCUBA Classes, Charters, Equipment and Special Events. The New York Times Op-Docs and Annapurna Pictures are presenting a virtual-reality film, "The Click Effect," about the free-diving researchers in this Opinion essay. To view it, download the NYT VR app on your mobile device. I HELD MY BREATH AND SWAM DEEPER, 10, 20, 30 feet. I heard a thunderous crack, then another, so loud they vibrated my chest. Below my kicking feet, two sperm whales emerged from the shadows, each as long as a school bus. The cracking was coming from the whales; it’s a form of sonar called echolocation that species of dolphins, whales and other cetaceans use to “see” underwater. With these vocalizations, called clicks, the whales were snapping three-dimensional images of my body, and those of my diving companions, from the inside out — scanning us to see if we were a threat, or if we were food. GEMMA SMITH is grinning like a child on Christmas morning. 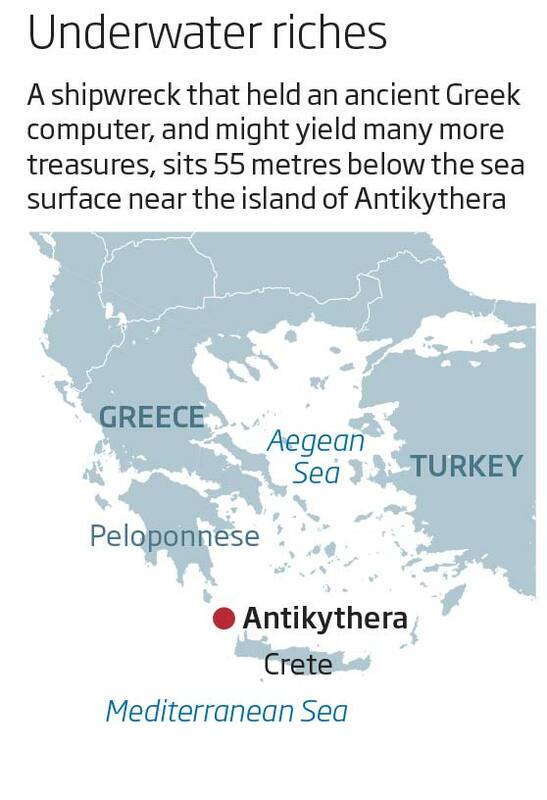 “It could be anything!” she says as our boat speeds past the rugged grey cliffs of Antikythera, a tiny Greek island midway between the Peloponnese and Crete. We are here to explore one of the world’s most famous shipwrecks, where divers once found an anchient computer. The day before, the team discovered part of a large object buried beneath a metre of sand; now they are back to find out what it is. After years of preparation, there’s a feeling that today is going to be big. We’re a step closer to understanding the microbial community that inhabits the ocean – and it has some striking similarities to the community that lives inside our guts. The microbiome of the world’s biggest ecosystem and one of the smallest appear to function in surprisingly similar ways. Microscopic plankton produce a large proportion of the oxygen in the atmosphere – amounting to half of all oxygen produced by photosynthesis – but we know very little about these organisms. The data collected by researchers aboard the schooner Tara will change that. Between 2009 and 2013, the ship sailed the world’s seas and oceans, collecting 35,000 plankton samples – both microbial and multicellular – from the upper layers of the water. The first batch of the Tara studies is published today, and it reveals that planktonic marine life is far more diverse than anyone expected. For example, we already knew of about 4350 species of microalgae, 1350 species of protists and 5500 species of tiny animals, based on direct studies of their appearance. But the new genetic evidence suggests that there are probably three to eight times as many distinct species in each group as currently recognised. IT’S a game of life. A mass of fish dart in and out of a cloud of sperm and eggs off the island of Palau in the western Pacific, creating the next generation. “The existence of red snapper spawning aggregations in Palau has been known for some time, so I wondered why there weren’t many photographs of it,” says photographer Tony Wu. Once he got in the water with them he discovered one possible reason – the fish were really fast and he struggled to keep up. Spawning aggregations are common but not well understood. 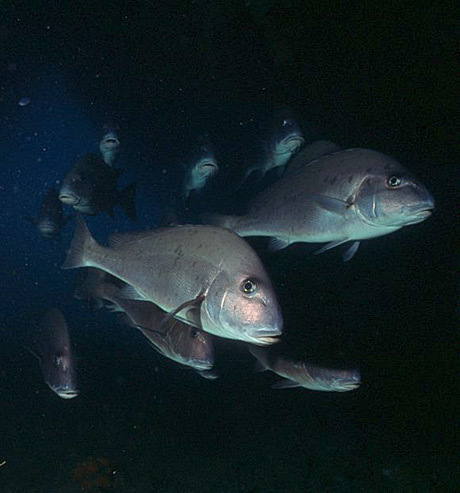 Two spot red snapper (Lutjanus bohar) gather in huge numbers where the edge of the reef meets the open ocean. They produce vast clouds of sperm and eggs – enough that plenty get fertilised, despite predators devouring much of the nutritious mixture. A strong current pulls any surviving fertilised eggs out to sea where they grow into adults. Some will make it back to the reef and spawn themselves, starting the whole process all over again. The spawning took place at Shark City diving site, and Wu spotted a few blacktip sharks lurking on the lookout for an easy meal. Ambushed! Japanese pygmy squid have been filmed releasing ink when hunting shrimp – using it both as a smokescreen and distraction. “This is the first report that cephalopods use ink for predation,” says Noriyosi Sato of Aberystwyth University, UK. In 2014, Sato and his colleagues collected 54 specimens of Japanese pygmy squid (Idiosepius paradoxus) from the waters of the Chita Peninsula in central Honshu, Japan, and transferred them to two lab aquaria. The southern sand octopus has taken hide-and-seek to a whole new level. It shoots jets of water into the seafloor creating quicksand that allows it to vanish. A skilled architect, the octopus can build a mucus-lined home – complete with a chimney –20 centimetres down into the seabed, where it holes up during the day. It only emerges from its underground burrow at night to crawl over the seafloor and snack on small crustaceans. Now, its unique burrowing technique has been revealed for the first time. Almost every person has an appreciation for natural environments, say San Diego State University scientists. Most people find healthy or pristine locations with high biodiversity more beautiful and aesthetically pleasing than environmentally diminished places. In a new study which computed ‘aesthetics’ as it relates to coral reefs, researchers have shown that computer analysis of underwater photos can be used to accurately assess the health of a coral reef. Working together, mathematicians, biologists and art historians created a tool to computationally measure the aesthetic appearance of coral reefs. The results show that visual cues generated from random underwater photos can be used to reliably assess both the beauty and health of reefs around the world. The collaborators compiled and modified a list of 109 visual features that can be used to assess the aesthetic appeal of an image, such as the relative size, colour and distribution of discernable objects within the image, as well as texture and color intensity. They then created a computer program capable of assessing these features in images and used it to analyse more than 2,000 random photos of coral reefs from 9 locations across the Caribbean and central Pacific. The program produced a “beauty” score for each reef ecosystem. Thriving ecosystems are abounding with bright colours. 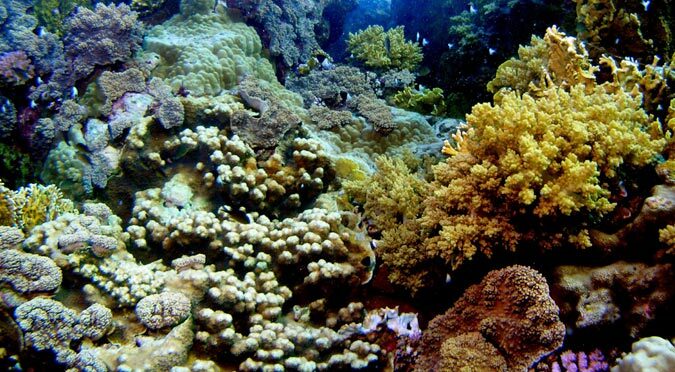 Underwater, coral reefs surpass all other ecosystems in their display of colour. The diversity and colorfulness of fauna and flora living in healthy reef systems is unmatched on this planet. This diverse and intense display of color is, however, not only an indicator of high biodiversity, but also of a “clean” system. SAN DIEGO, CA – In celebration of World Oceans Day, the La Jolla based Waitt Foundation and the Marine Conservation Institute announced the launch of a new online tool at MPAtlas, dedicated to bringing the importance of ocean parks into the public eye. The world’s oceans are facing enormous adversity from environmental degradation, overfishing, and pollution. Science has shown that the establishment of ocean parks, or marine protected areas (MPA), can mitigate these harms, thereby restoring and revitalizing fragile marine ecosystems. MPAtlas is the foremost database of global MPAs. It is an online digital map that assembles key information on marine protected areas around the world. An interactive and user-friendly platform, MPAtlas is geared towards providing a comprehensive scope of data for conservation advocates, scientists, policy makers, and the interested public alike. While working on a reference article on pressure-depth relationships, I was reminded of divers I had a few years ago. This couple has a creative way of finishing a dive. After maintaining a reasonably well-controlled safety stop, they both reached for their inflator hoses and pffffffffttt held down their inflate buttons and shot to the surface from 15 feet. When I chatted with them about this dangerous habit, they told me that their open water instructor taught them to ascend this way. Why does this scare me so much? For the sake of simplicity, let's consider just one of the reasons that a fast ascent during any part of a dive is dangerous. Increased pressure underwater causes a diver's body tissues to absorb more nitrogen gas than they would normally contain at the surface. If a diver ascends slowly, this nitrogen gas expands bit by bit and the excess nitrogen is safely metabolized and released. Why Does Spit Keep a Scuba Mask From Fogging? Before diving, people apply spit or commercial defog solution to the inside of their masks to keep them from fogging. But why does it work? A client asked me this recently, and my answer was, "I have no idea, good question!" I imagine a majority of divers do not know the answer either. To understand why spit keeps a mask from fogging, it is important to know why a mask fogs up in the first place. A foggy mask ruins an entire dive, destroying your view of fish and coral, and impeding communication between divers. It can also be dangerous. A diver distracted by a foggy mask can lose track of his buoyancy or his surroundings. The good news is that it's possible to prevent any mask from fogging. However, new masks and used masks must be treated in different ways. With tentacles up to three metres long and covered with stinging cells, it’s better not to get too close to the Lion’s Mane jellyfish. It’s body can be 2 metres across, making it one of the largest species of jellyfish. The tentacles are arranged in eight bunches, with each bunch containing over 100 tentacles. The oldest tentacles are often coloured dark red. They have a very severe sting that can produce blisters, irritation and muscular cramp and may even affect respiratory and heart function. Fragments of tentacles, left on buoy ropes for example, retain their stinging power. SCUBA divers underestimate the amount of life in heavily-fished areas, a study suggests. Scientists from Australia compared fish counts by SCUBA divers—who produce noisy bubbles—and divers using silent rebreathers. They found little difference in counts between the two in Marine Protected Areas (MPAs), where the fish weren’t frightened of the divers. In more heavily fished areas though, the bubble-free divers recorded 48% more species and up to 260% greater fish abundance than the SCUBA divers. Maritime archaeologists and researchers in North Carolina recently discovered one of the most significant shipwrecks found off the East Coast in recent years. During a routine sonar assessment of known wrecks off the seaside town of Oak Island in North Carolina on Feb. 27, researchers and archaeologists stumbled upon the well-preserved wreckage of a blockade runner steamer from the Civil War, according to Billy Ray Morris, North Carolina's deputy state archaeologist-underwater and director of the North Carolina Department of Natural and Cultural Resources' Underwater Archaeology branch. "This finding is incredibly exciting because it's so intact," Morris told ABC News. "The sonar image shows almost the entire vessel. That's very rare." The iron-hulled vessel, about 225-feet long, is likely over 150 years old and is the first mid-19th century wreck to be found in the area in decades, Morris said. He explained that the vessel was a blockade runner for the Confederacy during the Civil War. Blockade runners were "speedy steamers" used to get around Union war fleets, which sought to cut off the Confederacy from overseas trade. "These were some of the most sophisticated ships of their day, comparable to the high-speed cigarette boats that modern-day drug smugglers might use now," Morris said. He added the runners often contained war materials for the Confederate army and luxury items -- including "cases of wine, Paris fashion and nice books" -- which sold for a lot of money at the southern docks. Three blockade runners are known to have been lost in the area: the Agnes E. Fry, Spunkie and Georgianna McCaw, Morris said. Based on the ship's size and several parts missing from the vessel, Morris believes the wreck is likely the Agnes E. Fry, he said. "The Fry has the best story, too," he added. "The owner, Thomas Fry, had the ship renamed for the wife. Thomas was also an interesting character. He was later killed while running a blockade in Cuba, where he was helping to supply guns to Cuban rebels." Morris said he and his team will try diving down to see the shipwreck tomorrow to do further research and confirm the ship's identity. Adaptive scuba diving is a growing sport. This growth is propelled by the dedication of highly motivated advocate/divers like Cody Unser. A year after she became paralyzed due to Transverse Myelitis - a rare inflammation of the spinal cord thought to be caused by infections or immune system disorders - Cody took up scuba diving as a way to keep up with her active family. She was thirteen years old at the time. Now, sixteen years later, she and her mother Shelley Unser head the Cody Unser First Step Foundation and its subsidiary dive programs Cody’s Great Scuba Adventures and Operation Deep Down. Imagine that you have a sponge. Really, go ahead! In fact, imagine that you have one of those fancy scrubby sponges that is green on one side and yellow on the other. This sounds silly, but sponges absorb water similarly to how scuba divers absorb nitrogen. The sponge analogy will help you to understand the fundamentals of nitrogen absorption while diving. Normally when people think of the word slug, they think of something slimy and undesirable, but that’s not the case when it comes to the underwater world. Nudibranchs, kind of like a sea slug, come in virtually every color and combination of colors and are extremely beautiful. Although most of the time they are quite small, they are so awesome that this makes up for what they lack in size. Here are 10 pretty cool things you might not know about nudibranchs. Scientists have created highly detailed maps charting the seasonal movements and population densities of 35 species of whales, dolphins and porpoises -- many of them threatened or endangered -- in the crowded waters of the U.S. East Coast and Gulf of Mexico. "These maps show where each species, or closely related group of species, is most likely to be at any given time of year," said Laura Mannocci, a postdoctoral research associate at Duke University's Marine Geospatial Ecology Laboratory (MGEL). "This makes it easier to monitor and manage them, and reduce the risk of harmful interactions." the crystal coast, N.C. – Feb. 22, 2016 –The Crystal Coast of North Carolina – home to America’s Coolest Small Town, the No. 4 Best Spring Break Destination in the U.S. and some of the state’s Top 10 Beaches – is once again in the running for a major destination accolade. USA Today 10Best has nominated Cape Lookout National Seashore as one of the Nation’s Top 20 National Park Beaches, with the potential for this Coastal gem to be named the No. 1 favorite, Friday, March 18. Reminiscent of times past where wild horses roam freely on deserted beaches, Cape Lookout National Seashore, with its famed lighthouse, offers escapists a 56-mile stretch of underdeveloped shimmering beaches accessible only by boat. Fans of Cape Lookout National Seashore may vote once a day at http://www.10best/awards/travel/best-national-park-beach/. Voting concludes Monday, March 14, at 11:59 am EDT. If you think that just because you're swimming in freshwater that you're safe from sharks, you might want to think again. Not only do ferocious bull sharks roam as freely through freshwater as they do in saltwater, but bull sharks have been found as far inland as Indiana in the Ohio River and Illinois in the Mississippi River. Along with the great white shark and the tiger shark, bull sharks are among the top three species most likely to attack humans. Yikes! There are also at least five other species of true river sharks, which are exclusive to freshwater rivers in Southeast Asia and Australia. All river sharks are capable of growing to over 10 feet in length, and are more than capable of consuming a human.